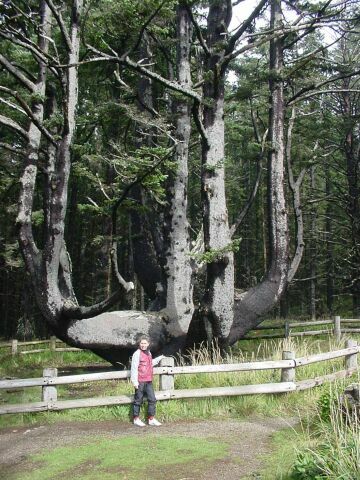 This Sitka spruce at Cape Meares grew so many low branches that it is known as the Octopus Tree. 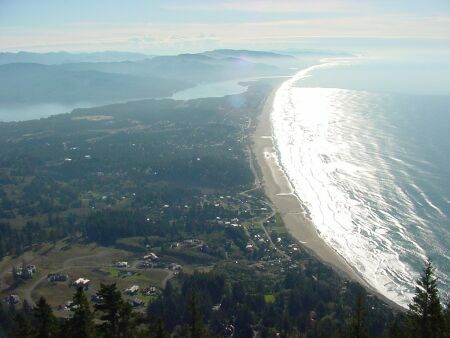 Manzanita Beach and Nehalem Bay, seen from the top of Mt Neahkahnie. 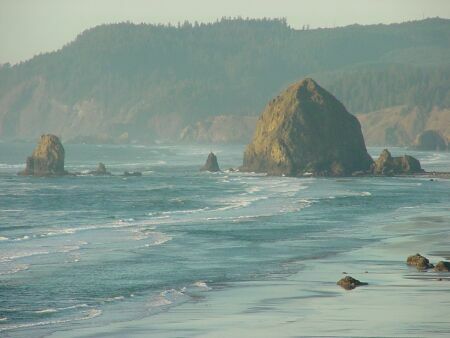 At Cannon Beach, you can walk out to Haystack Rock when the tide is out. 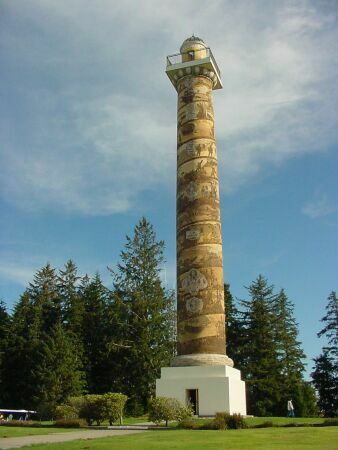 Haystack Rock, viewed from the south. 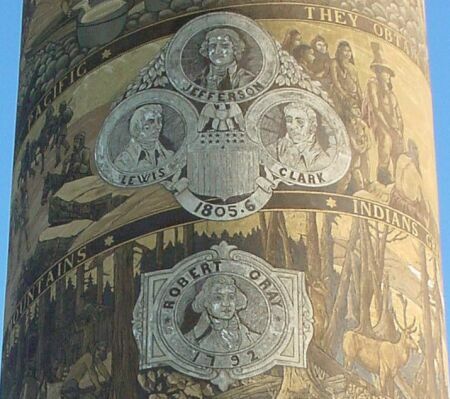 The Astoria Column (125 feet high) was completed in 1926, and commemorates the founding and history of Astoria. 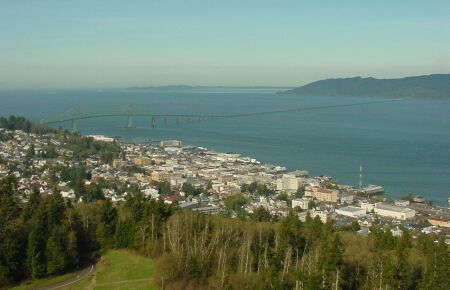 The Astoria-Megler Bridge spans the Columbia River between Oregon and Washington states.